If you enjoyed Last Night in Montreal, then you’ll love Nobody Is Ever Missing. You can run all the way to New Zealand, but eventually you’ll catch up with yourself.Without telling her family, Elyria takes a one-way flight to New Zealand, abruptly leaving her stable but unfulfilling life in Manhattan. As her husband scrambles to figure out what happened to her, Elyria hurtles into the unknown, testing fate by hitchhiking, tacitly being swept into the lives of strangers, and sleeping in fields, forests, and public parks.Her risky and often surreal encounters with the people and wildlife of New Zealand propel Elyria deeper into her deteriorating mind. Haunted by her sister’s death and consumed by an inner violence, her growing rage remains so expertly concealed that those who meet her sense nothing unwell. 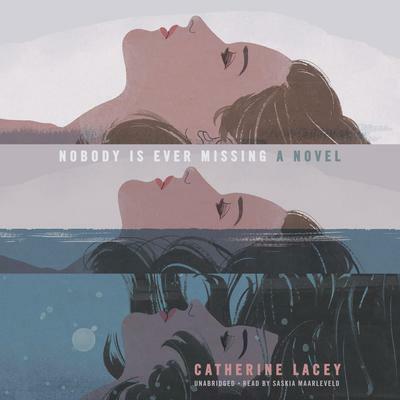 This discord between her inner and outer reality leads her to another obsession: If her truest self is invisible and unknowable to others, is she even alive?The risks Elyria takes on her journey are paralleled by the risks Catherine Lacey takes on the page. In urgent, spiraling prose she whittles away at the rage within Elyria and exposes the very real, very knowable anxiety of the human condition. And yet somehow Lacey manages to poke fun at her unrelenting self-consciousness, her high-stakes search for the dark heart of the self.In the spirit of Haruki Murakami and Amelia Gray, Nobody Is Ever Missing is full of mordant humor and uncanny insights, as Elyria waffles between obsession and numbness in the face of love, loss, danger, and self-knowledge.